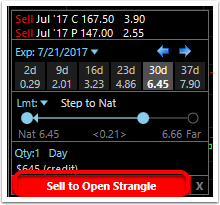 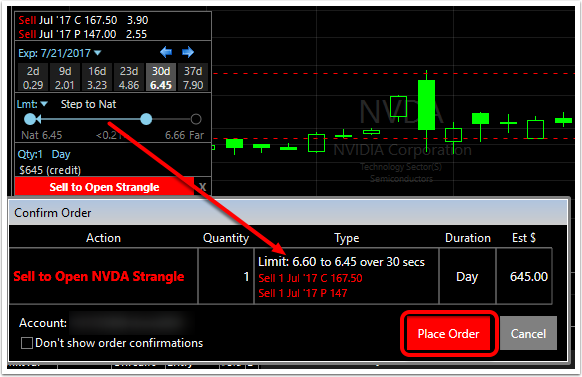 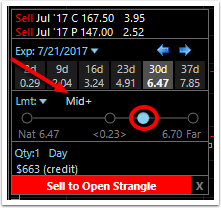 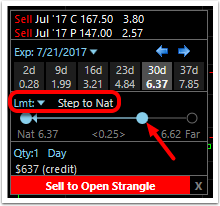 Selling a strangle is a multi-legged, low volatility, short options play profitable when a stock does not move significantly in either direction. 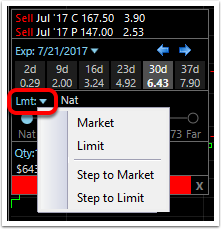 These options extend from the purchase date to the selected expiration date. 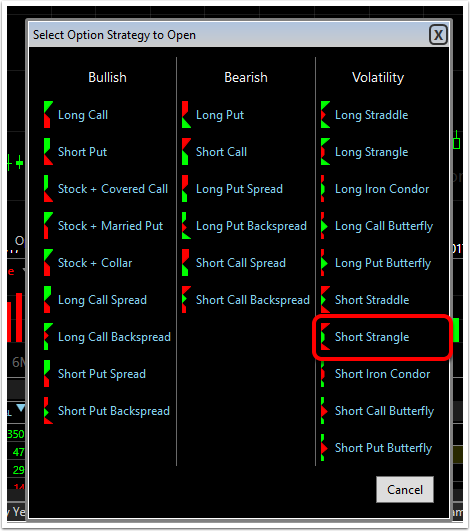 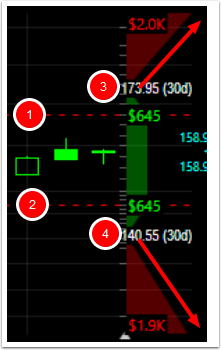 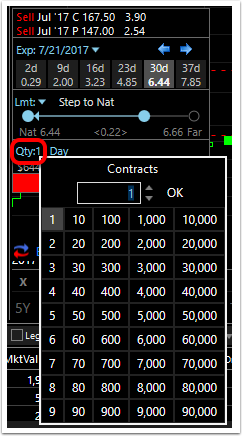 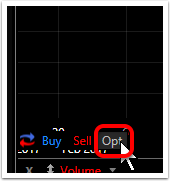 Below are the steps to place an order from the chart to sell a straddle. 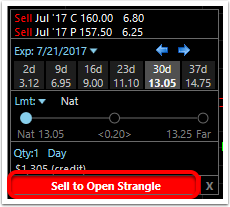 If no changes are desired, simply click Sell to Open Strangle and confirm to place the order. 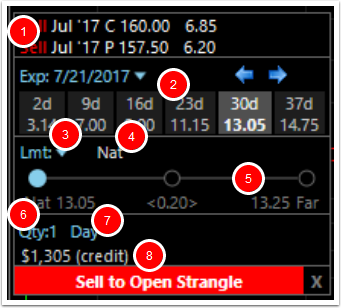 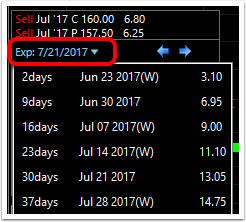 As is illustrated by the on-chart P&L Zones, the position experiences maximum gain if at expiration it closes between the strike prices (1 & 2). 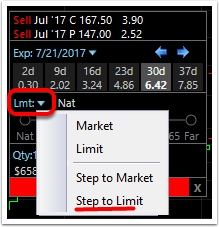 If the stock moves significantly in either direction (past the break even points--3 & 4) then there is potentially unlimited loss to the upside and unlimited loss (to zero) to the downside.